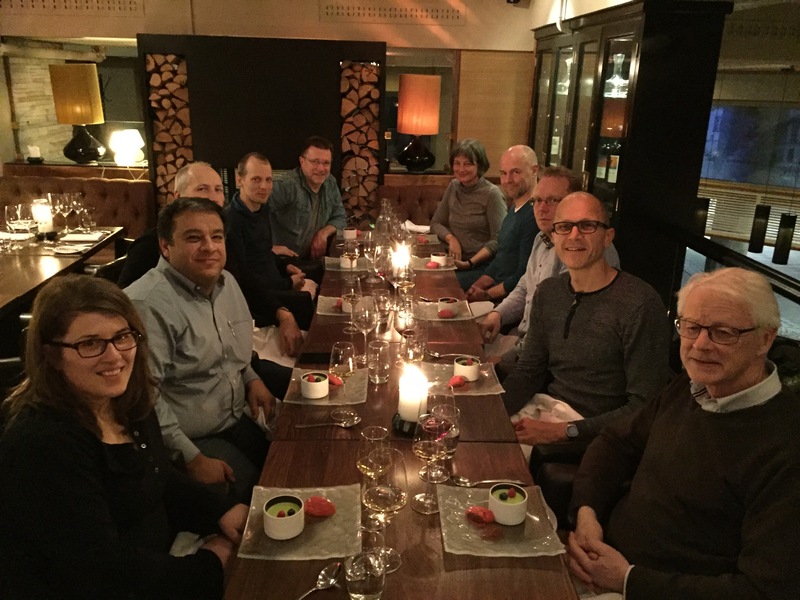 Results and prospects of the EBAI-project were discussed as members of the consortium met at the NTNU University Museum on November 10, 2016. Presentations were held by Mehrdad Hajibabaei, Kathrin Langen, Ola Diserud, Markus Majaneva and Torbjørn Ekrem and additional participants were Anders Hobæk, Terje Bongard, Elisabeth Stur, Karstein Hårsaker, Gaute Kjærstad and Erik Boström. It was a very fruitful meeting where the direction of the project was corrected and the way forward fine tuned according to developments in the field of environmental barcoding of freshwater ecosystems. Ready for desserts at EmiliesEld. Photo Torbjørn Ekrem CC-BY. 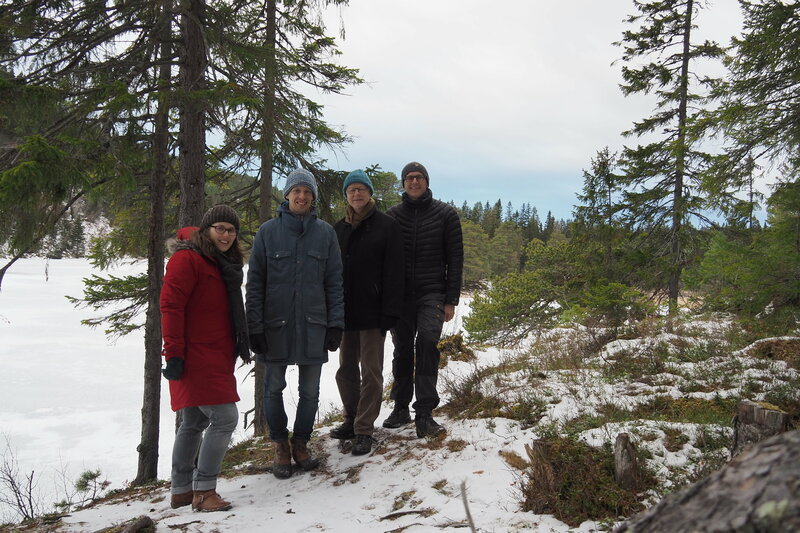 Kathrin Langen, Markus Majaneva, Anders Hobæk and Torbjørn Ekrem touring sites in the EBAI project. Here at reference lake Holstdammen close to Trondheim. Photo: Torbjørn Ekrem CC-BY.